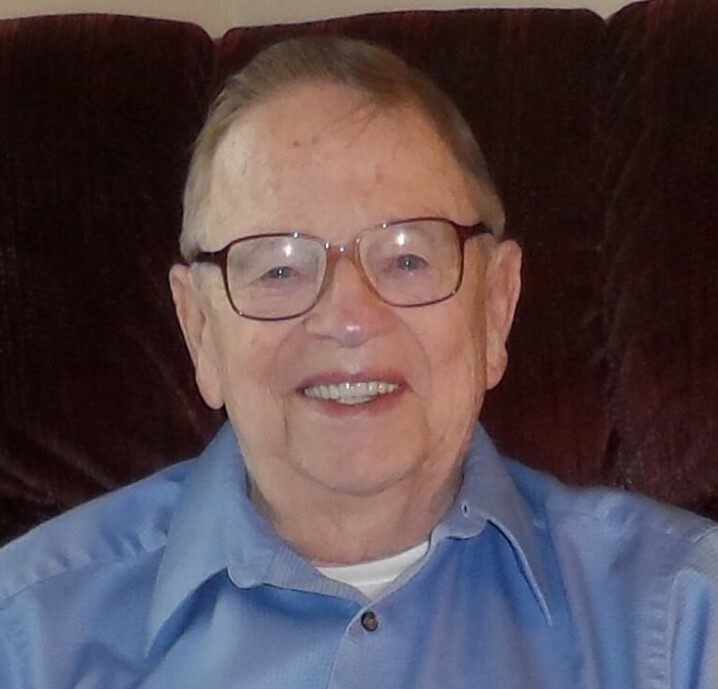 Otis Paul Sites, age 92, of Petersburg, WV passed away Sunday, March 24, 2019 at his home. He was born February 25, 1927 in Rough Run, WV and was a son of the late Jesse N.Sites and Nettie (Getz) Sites. In addition to his parents, Otis was preceded in death by three sisters, Edna Post, Ruth Belt and infant Leota Sites; two brothers, J. Cletus Sites and Glen H. Sites. Otis is survived by his wife of 52 years, Rose Marie “Peggy” Sites, one step son, Kenneth R. Shobe and wife Julie; one step daughter, Jeanne M. Knotts and husband Donald; three step grandchildren, Michael (Crystal) Knotts, JuliAnn (Brian) Branson and Kenneth Ethan Shobe (Samantha Phillips); five step great grandchildren, Kaitlyn Knotts, Makinley Branson, Brantley Shobe, Delaney Shobe and Bronson Shobe; and several nieces and nephews. Otis retired from the Petersburg Post Office as window clerk after 31 years. He was a United State Air Force veteran of World War II. While stationed in England as T/Sgt he was one of three sergeant and two officers to set up the First Non-Commission Officers Academy in the Air Force. Upon discharge from the Air Force, he worked for a short period for the post office in Columbus, Ohio. He then moved to Miami, Florida and operated Sites Phillips 66 Service Station and then started Sites Trucking Company in Miami. Later he moved back to Petersburg and started working for Roby Ford Company as a car salesman and then started work at the Petersburg Post Office. While employed at the post office he started giving children chewing gum and suckers which he has continued to the end. Rarely would you find him out of some Juicy Fruit gum in his pockets. He had become known as the Juicy Fruit Man. In the end he was giving gum to grandchildren of the ones he first gave gum to. Otis gave over 30 thousand packs of gum to children during his lifetime. He was a member of Main Street United Methodist Church, a member and past president of Petersburg Lions Club, former Petersburg City Council member and life member of American Legion Post 78. While a city council member he was responsible for the city’s First Planning and Zoning ordinance and new street lights. In Fair parades he was famous for his riding a Moped with Flags and dressed as a Mountaineer Man or woman firing a shotgun in the air with blank shells. He was an avid Petersburg Viking sports fan. He was owner and operator of Sites Small Appliance Repair Service and Aerus/ Electrolux Sales and Service in Petersburg for over 35 years. Family will receive friends Tuesday from 5:00 – 8:00 PM at the Schaeffer Funeral Home in Petersburg. Funeral service will begin at 11 AM Wednesday, March 27, 2019 at the Schaeffer Funeral Home with Rev. Joseph Gerstell officiating. Burial will follow in Maple Hill Cemetery with full military rites by the Potomac Highlands VFW Post 6454 and WV Air Force Honor Guard. Memorial donations may be made to Hospice Promise Foundation, c/o Grant Memorial Hospice, 100 Hospital Drive, Suite 2, Petersburg, WV 26847.